The Osage Nation issued two warrants today for the arrest of Jeremy and Tyler Reece, the Pawhuska brothers were charged with the murder of Pawhuska resident Rick Holt. 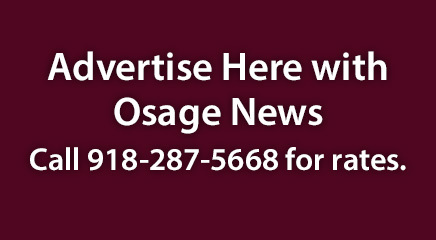 The Nation has filed charges of Homicide in the First Degree in Osage Nation Trial Court. The brothers are set to appear before ON Trial Court Judge Marvin Stepson on Thursday at 10 a.m. The alleged homicide occurred last September on restricted Indian land southwest of Wynona, touching off a jurisdictional battle over whether to try the case in state or federal court. The brothers are members of the Muscogee (Creek) Nation. Osage County District Attorney Rex Duncan sought to bring the case under state jurisdiction, contending that the slaying occurred on Holt’s property, which was not restricted Indian land. But Associate District Court Judge Stuart Tate ruled that the case was federal because Holt was kidnapped at his home and killed on restricted Indian land near Hominy. Duncan appealed the ruling, but Mayes County District Judge Terry McBride upheld Tate’s decision. Duncan then missed the deadline to appeal to the Oklahoma Court of Criminal Appeals. Tate’s decision stands, denying the state jurisdiction. The brothers had been charged with first-degree murder, conspiracy, kidnapping and desecration of a corpse. The charges were reduced to kidnapping and conspiracy because first-degree murder and desecration of a corpse are federal charges. Bail on kidnapping and conspiracy charges is typically about $20,000, which the brothers could make, said Osage Nation Assistant Attorney General Jeff Jones. The bond hearing is scheduled May 25. Theoretically, the brothers could be walking the streets of Pawhuska if they made bail, Jones said. On hearing that, Principal Chief Geoffrey Standing Bear, upon hearing the news, called the ON attorney general’s office and asked whether the Nation would “step up to the plate” since Duncan had missed the deadline to appeal. The Nation is charging each of the brothers with first-degree homicide and seeking a $1 million cash bail for each. Cash bail means that the brothers could not work with a bail bondsman, Jones said. The maximum penalty in Osage law for homicide, is a $5,000 fine or up to a year in jail, or 20 years banishment. Federal law does not permit tribes to issue penalties exceeding three years in jail. However, Jones said he is communicating with the U.S. Attorney’s office about other possibilities. Holt, who was 46 at the time of his death, was born and raised in Pawhuska. He was a well-known and well-liked figure among the local community, a talented rodeo cowboy and a Pawhuska High School state wrestling champion. Married to an Osage tribal member, he was around the Osage Nation community for many years, often helping at the annual Osage In-Lon-Schka dances. The couple divorced, but he remained friends with many in the Osage community. Jones noted that federal charges require U.S. attorneys to present their case to a federal grand jury in order to obtain an indictment. According to the affidavit filed in ON Trial Court, Jeremy Reece, 31, and Tyler Reece, 19, abducted Holt from his home and took him about six miles northwest of Hominy where they shot him “multiple times” then burned his body. Jeremy Reece later led investigators to locate Holt’s body in a shallow grave, the affidavit said. Jeremy Reece’s ex-wife, Claudette, said she and Holt had been dating for two months, according to the affidavit. She said Jeremy Reece was attempting to reconcile with her and blamed Holt for preventing the reconciliation. Witnesses said Holt had been at the Pawhuska Country Club and was intoxicated but drove himself home about 12:30 a.m. on Sept. 9, 2015, according to the affidavit. It said that friends and relatives reported him missing and that officers conducted a search of his property. The Reece brothers were taken into custody after Claudette and friends of Holt reported suspicious cell phone activity and police discovered evidence on the brothers’ cell phones. The phones indicated that they had been at the crime scene for two hours on the night Holt died. The brother’s mother, Ann Marie Reece, was charged as an accessory after she instructed the brothers to erase text messages and other data pertaining to Holt’s death.